Well, it beats catching the bus! 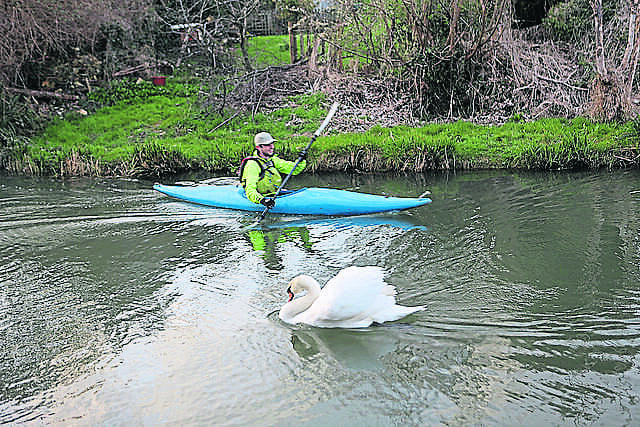 KAYAKER Tom Hards has found a better way to cope with his daily commute between Stroud and Stonehouse by choosing to paddle to work instead of taking the bus. 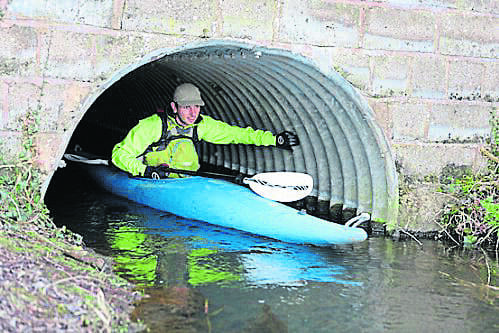 He is fortunate to live and work close to the towpath of the Stroudwater Navigation and recently found that the tree clearance work carried out during the winter by the Waterway Recovery Group between The Ocean and Bond’s Mill had opened up a stretch of canal navigable to small craft. He explained: “The journey itself is uncomplicated, with only the two locks at Dudbridge and Ryeford Double Lock to carry the boat around. The canoe and boat landing stages at Ryeford make getting in and out of my kayak a lot safer and easier when portaging around the lock chambers, especially on dark and cold mornings at 7am. 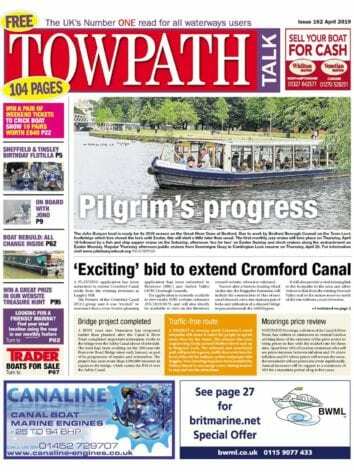 Tom added: “The highlight for me is the ability to get closer to the wildlife. That includes looking down into the water with a head-torch to see fish pooling about, or being buzzed by bats near the textile mills. I really enjoy the adventure and exercise during the week. Savings on the bus fares can then be spent on large breakfasts. Previous Post:Be vigilant this summer!